I deeply admire long term travelers. They are the adventurer, the gypsy that I long to be. 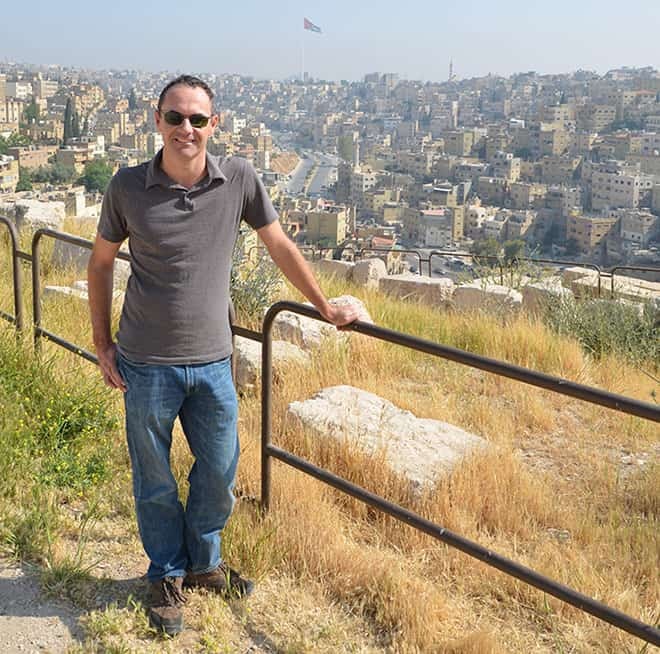 If I started my life over I would be a digital nomad, just like travel blogger James Clark of Nomadic Notes. James is kind of based in Vietnam and travels the world leveraging his online media business to bring in income and create opportunities for the next travel destination. He is smart, a talented photographer and knows how to maximize his travel. Even if it is taking advantage of a single day in my favorite city, Paris! My first trip outside of Australia was to Hawaii in 1995. I was instantly hooked to the travel lifestyle and I started planning my next trip when I got home. Each trip away got a little longer, and when I ran out of holiday time at work I applied for work visas in the UK and Ireland to continue my travel addiction. The pleasure of the journey and the destination. Plane or train, depending on the circumstances. If I can avoid spending a whole day in a bus by flying, then great. 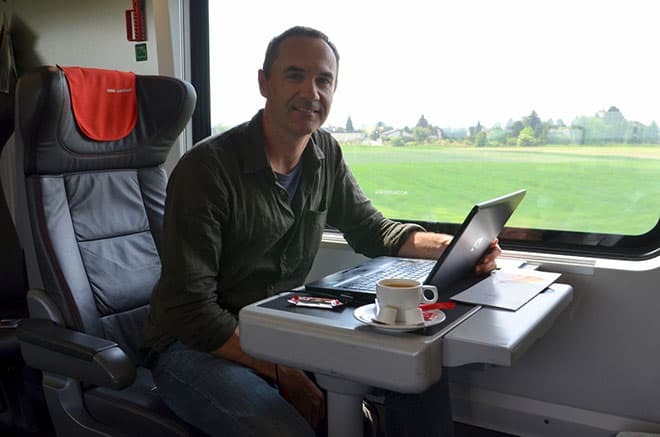 In Europe I like getting the train as I can work in comfort and arrive in the centre of a city. For short flights I read a book and for long haul flights I usually do a movie marathon. One time that stands out was when I arrived in China for a 2 month trip. I arrived in Hangzhou and there wasn’t anything in English and nothing that indicated what I might be able to eat. I ended up having the instant noodles that is available everywhere. Not a good start to my China trip. The next day I met a business contact of a friend of mine and he took me out to a famous restaurant. 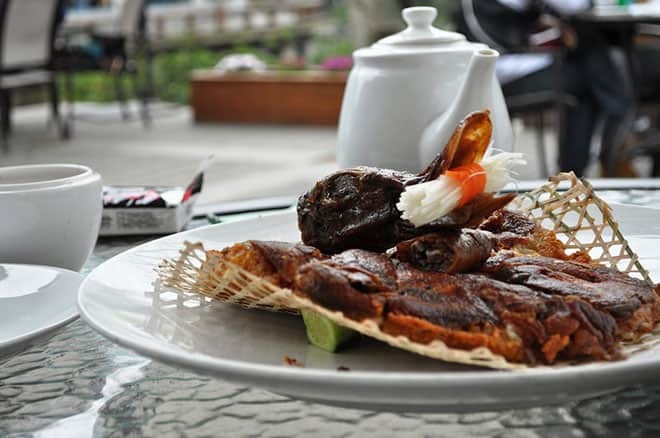 He ordered a huge selection of delicious dishes and in typical Chinese business man fashion would not let me pay. It was a memorable introduction to Chinese food. Be yourself and write from your own perspective. We already have Wikitravel so the world doesn’t need more “thing to do” type lists. Instead just write about what you saw in a place and how it relates to you. I was recently in Buenos Aires and Uruguay. Then I headed to London where I attended World Travel Market, and now I’m back in my current home base of Ho Chi Minh City. You can keep up with James on Twitter, Facebook, Google+ and Instagram as well as his blog. Wherever you catch him, I am sure you will enjoy him adventures! How about you? What would you like to know about James? If I could change career paths, I would love to be a travel blogger! @Kyla, you and me both! Wow, how much I admire James! I can relate to his problem with ordering noodles in China. We had this happen in Germany once, where no one spoke English and the menu was entirely German. I can’t complain as I’ve definitely travelled more than the average person, but I always long for more. I also have continued to travel mostly in Europe and would love to go to other places like Australia/New Zealand and South America. Thanks for introducing us to James, Andi! @Christina, my pleasure. I definitely love bring travel bloggers to people’s attention, everyone has a different style or story, it is fun! I have always wanted to travel! Sadly, I don’t get to ever! Would love to someday what an adventure it would be to travel the world! @Jeanine, in the meantime while you are waiting for your “big” trip go out and explore your own backyard, there are so many hidden gems no matter where you are! It sounds like he has some fabulous adventures. *sigh* I lived in China for five months and love hearing about others’ experiences while in China. I had the best time there! Thanks for sharing! @Chelsie, I spent nine weeks there and did several 2-week trips after that and loved it as well! This is a wonderful feature on James. I’m with him on his blogging advice…be yourself. Because that is what really makes our blog unique. 🙂 Thanks for sharing! @Cara, it is great advice. In the end you are “selling” yourself. Love this interview! Definitely great advice! @Taralyn, so glad you enjoyed it! I can’t remember many men being featured in this feature, Andi. It’s nice to learn about James and Nomadic Notes. I really like that profile pic of him on his blog – the one with the Vietnamese street/alley in the background. @Jen, me too, I love that photo! And it is weird because most digital nomads are men, but I haven’t been able to get their attention to be interviewed! I would both love and hate to be a travel blogger. I want to see more places, but to be away from my family would break me! @Chelley, thankfully you can have both. Your trips can be as long as you want with plenty of family time in between. I wouldn’t know where to get started,,, but now you’ve got me dreaming! Good point, Chelley. I do know some digital nomad families that manage to travel with children and apparently the kids love it. This.. this is the life right here. I would love to be a travel blogger! @Heather, it certainly is exciting. Lots of work, but you are your own boss and James has some amazing offices! I’d love to be able to do more traveling. @Karissa, when you can’t get out and about in the world, explore your own backyard! And you just went on a cruise so that’s fun! What a great interview with wonderful advice. Thank you for sharing. Nice to meet another wanderlust soul! And I always look for the unforgettable food they offer. I love this series! James’ definition of traveling is awesome! Aw, this interview really gives me that itch to travel! What an amazing way to spend life – traveling all over the world and experiencing different cultures… and the wonderful food that comes with it! I love to travel, but with great company. What a fun job if you can take a long your loved ones too. Thanks for this post, it was fun! @Debi, there are many couples and family that are digital nomads, most with really fantastic blogs! I have to agree, travelling by train is my favourite method of transport. I love to see incredible parts of a country and be able to walk around! @Katie, the train is fun and I enjoy it too! @Rosie, thanks, I am so glad you enjoyed it. 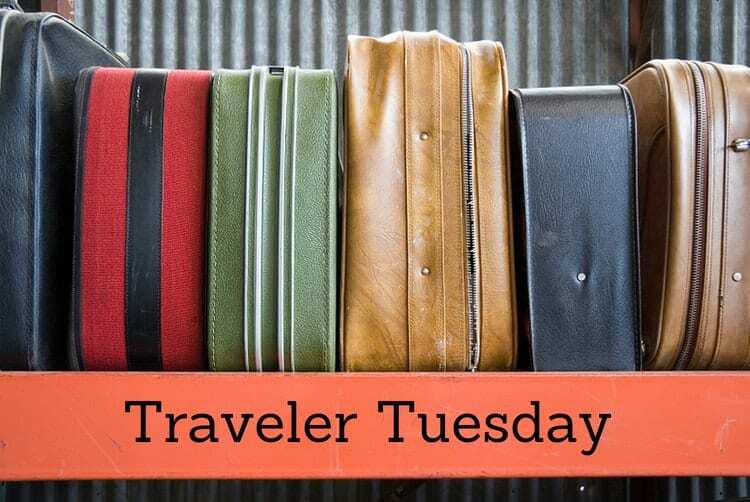 I love learning about other travelers. Thank you for introducing us all to James! What an exciting way to celebrate life. Makes me want to start planning my next trip! Thank you again for sharing! @Charlotte, so glad he could inspire you! Travel is the pleasure of the journey and the destination. Love that quote! great interview! I wish I could travel. @Carrie, maybe the traveling spirit will lift you out of your house to explore the area around you. We may not be able to gt across the country or the world, but there is always something interesting going on in our own backyard! I enjoyed this article and the pictures are awesome. Thank you. @Susan, thank you! And thanks for all your comments and support of Google+! Love this all. I just want to be a traveler! SO badly. @Deidre, there is a little traveler in all of us dying to get out! Some days all I want to do is just to pack up and travel the world! I admire these travelers! @Lindsay, I hear you! As soon as I win the lottery I am gone for good! I think travel bloggers are facinating. Great interview Andi! @Corina, my pleasure so glad you enjoyed it! @Emily, if you can’t go across the country or the world, you can still explore your own backyard. This series is giving me some major wanderlust. Checking out Jame’s blog now. I love being a travel blogger. Every time I write a piece, as if I am also taking a trip to the place in my topic. So cool! 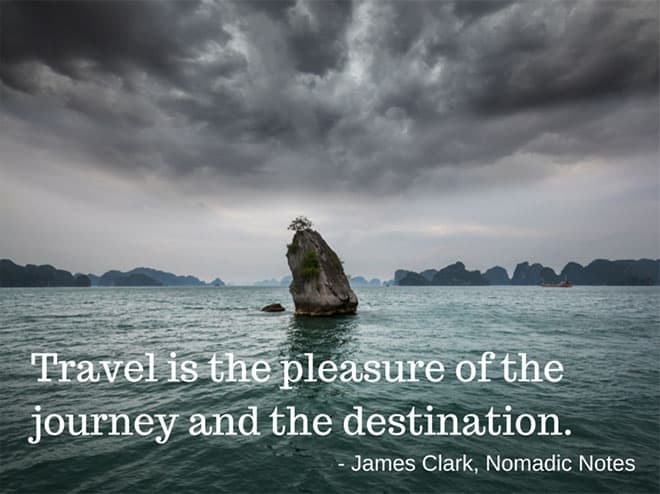 James truly inspired me to travel more and experience the richness of the world! @Krizzia, I’m so glad to hear that!